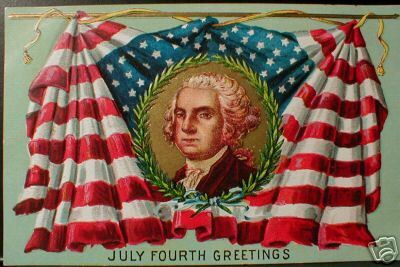 It’s the Fourth of July, also known as American Independence Day, the commemoration of the signing of the Declaration of Independence on July 4, 1776. Traditionally, Americans celebrate with parades, ceremonies, picnics, and firework displays. In the absence of any of these typical forms of commemoration this year, I contemplated taking part in a more recent July Fourth tradition: shopping. Many of the big chain stores in SoHo are holding giant sales today, and I am in great need of a pair of purple flip flops. But…my impulse towards commercialism was easily quelled. And I spent the afternoon instead doing my laundry and lounging between loads in nearby Washington Square Park. While at the park, I whiled away the minutes with my latest novel, The Mill on the Floss (hello George Eliot) and my long-forgotten Latin text, Dr. Smith’s Principia Latina. Since I haven’t looked at in nearly a year, I was forced to begin again. So if you ran into a young woman wearing an enormous straw hat, reciting the ablative forms of the first declension under her breath, that was probably me.